Um, are you ok, Botgirl? It's only Part 1 of the comic and it's a work in progress, so both readers and I will have to wait to see how it turns out. It reflects (metaphorically) a process of reevaluation I've been going through that has not yet reached its conclusion. 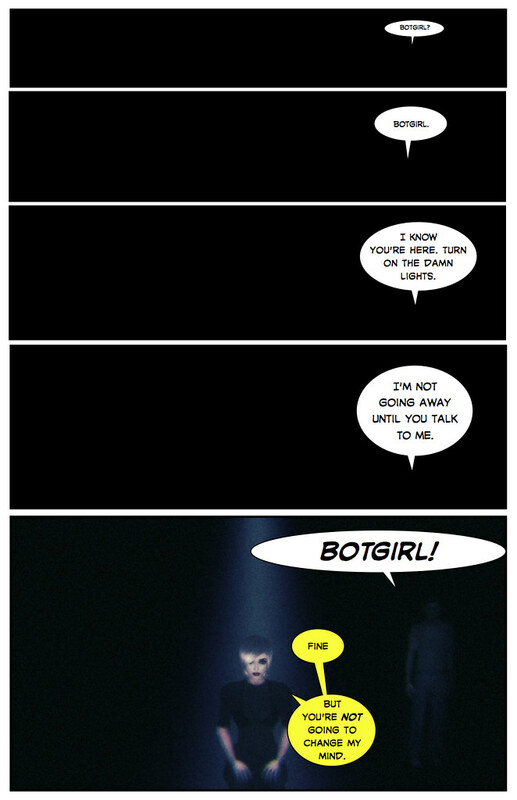 I think Botgirl needs an alt. Don't call it a comic! This is actually page 2, right? Chatelaine: Get the behind me, Satan! 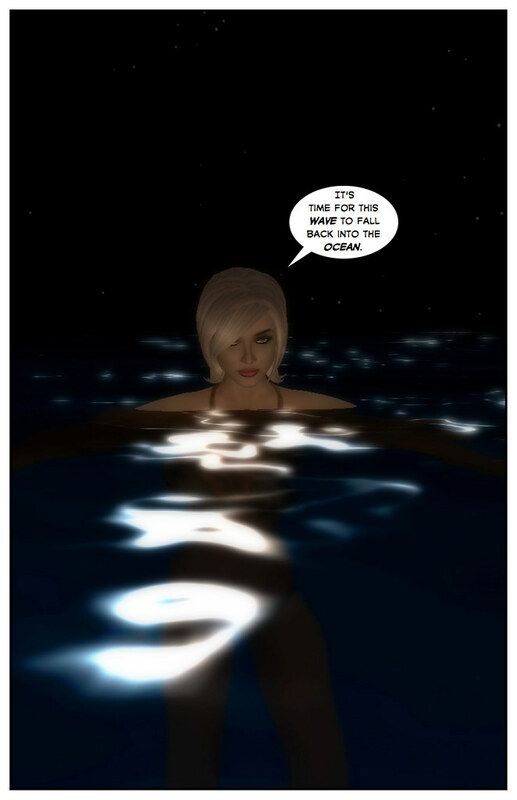 Joey: First one is the cover for eventual full length comic.